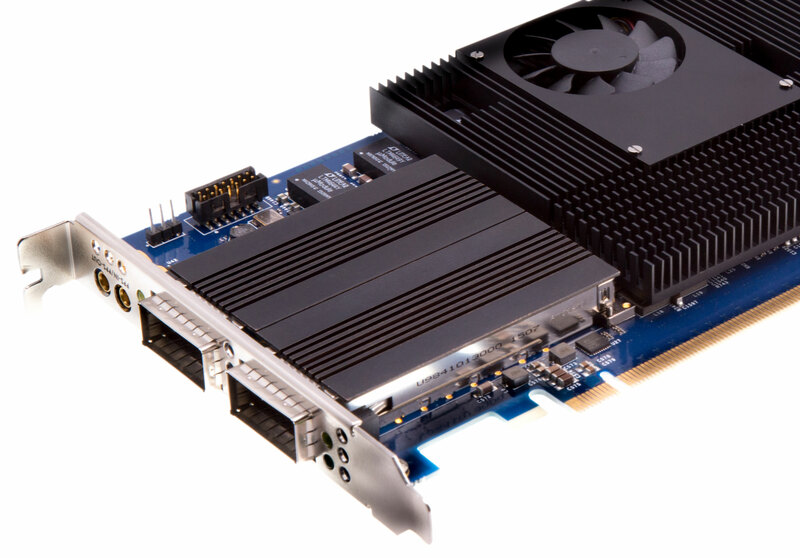 The ANIC-200Ku is a state-of-the-art, 2-port 100G PCIe adapter/NIC designed for demanding network monitoring and security applications. This FPGA based adapter features dual 100GbE CFP4 interfaces supporting SR4 and LR4 optical modules and is designed for NEBS compliance. The ANIC-200Ku provides sophisticated flow classification and flow shunting capabilities enabling up to 32 million unique (based on 3 or 5-tuple) IP flows to be tracked. Flow shunting enables security features such as blacklist matching by allowing individual flows to be programmatically forwarded to the CPU, dropped or redirected out of either CFP4 port. 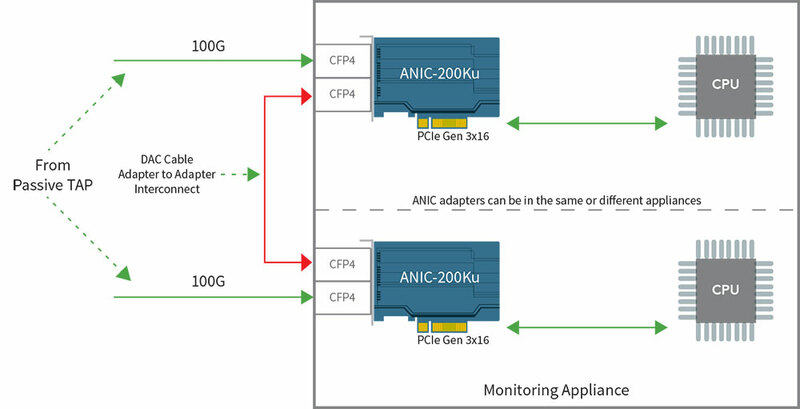 The ANIC-200Ku comes complete with an array of packet processing features such as precise timestamping (4nS precision), packet merging, tunnel decapsulation, packet slicing, packet filtering, deduplication, packet steering, direct memory access (DMA), and more. The ANIC-200Ku provides sophisticated flow classification and flow shunting capabilities enabling up to 32 million unique (based on 3 or 5-tuple) IP flows to be tracked. Flow shunting enables security features such as blacxklist matching by allowing individual flows to be programmatically forwarded to the CPU, dropped or redirected out of either CFP4 port. The ANIC-200Ku comes with a software development guide and world class technical support. A lightweight, C language API is linked to the network monitoring or security application as a shared library. Various API calls are then made to communicate with and control the ANIC-200Ku. A Linux or FreeBSD device driver is loaded into the network appliance as an extension to the host kernel. As with conventional device drivers the ANIC driver facilitates communication to the ANIC adapter (via the host kernel) for common operations such as adapter setup, turning ports on and off or reading port status.